February 13 and 15: 7-10 p.m.
Columbinus is a play sparked by the April 1999 massacre at Columbine High School in Littleton, Colorado. It merges fact and fiction to illuminate the realities of adolescent culture as it explores the events surrounding the shootings. It presents an anonymous portrait of high school life, with all its anxiety and sweaty unease, before focusing in detail on the grisly events at Columbine High School. The play weaves together excerpts from discussions with parents, survivors and community leaders as well as police evidence to bring to light the dark recesses of American adolescence. Auditions (by appointment only): February 13 and 15: 7-9 p.m. Contact director Laura Pulio Colbert lpulio@harpercollege.edu to schedule a 5 minute general audition appointment. Please prepare one 1-3 minute contemporary monologue for the general audition. The monologue may be from the show or any other contemporary play of your appointment. Please prepare one 1-3 minute contemporary monologue for the general audition. The monologue may be from the show or any other contemporary play of your own choosing. Audition monologue does NOT need to be memorized. Headshot and resume at audition are appreciated but not required. There will be a callback on Saturday, February 16th (Time TBD). Auditions are in the Drama Lab Theatre (L109) in the Building L (Liberal Arts Center). 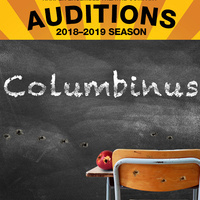 student or area high school student to audition.